TripAdvisor reviews: Bubble score 4.0. * - TripAdvisor shows lowest publicly available rates for this property between $84.00 (current) and $94.00 (June, 2017); which we averaged out to an average rack rate of $89.00. ADR is based on 85% of rack, which you usually see in a property listed for sale unless some unique marketing or pricing scheme is in place that you don't know about. In a property that has no restaurant or lounge or some other source of significant revenue, nearly all revenue is from rooms, so REVPAR (in this case, calculated by simply dividing the annual revenue given by the number of rooms, divided again by 365) becomes pretty meaningless, However, it does come in handy for one thing: in a limited service property when an occupancy figure is withheld, you can calculate it by simply dividing REVPAR by ADR. This is a newer, Wingate prototype facility, constructed in 2006. The two largest drivers of the Louisville economy are the airport itself (you're about fourteen miles east of it), and third-party logistics. Louisville International Airport is one of the premier cargo airports in the country. While every other airport in every other medium-sized city back in the day was focusing on passenger traffic and how to increase that, how to attract hub and passenger connection facilities from the airlines; Louisville carved out a niche for itself in air cargo. The result is large number of companies located nearby that are there to keep the planes loaded. UPS was the first company to come on board -- and all else followed just to be next to UPS. Amazon has a large facility here, and it's typical of the smaller users. If you want to set up a factory, import a lot of parts from overseas, make your widgets, and sell them online to customers all over the country; then right next to the Louisville airport is the place you want to be. The property is located in a cluster hotels off exit 17, I-64, at the end of a cul-de-sac. There is a Ruby Tuesday, Logan's Steakhouse, and (if you want to take a chance on zipping across Blankenbaker Parkway) a Wendy's, Waffle House and Cracker Barrel within walking distance. Sam's Club and a 14-plex theatre on the next block. The property appears to be in pretty good shape. Wingate is about the weakest new-build Class A franchise you can have, and this hotel isn't new anymore: it's eleven years old. So most of the renovations we'd do here would related to conversion of the property to the Red Lion brand and bringing it into line with their standards, should we convert the property to a Red Lion Inn and Suites. Both facility design and management, as Beechmont would approach it in this location, will reflect the need to maintain this property as a Class A mid-market property. The property is due for some minor renovations even if it continues to operate on the Wingate franchise -- it's taking hits on TripAdvisor over minor flaws -- and both housekeeping and maintenance need to be tightened up a little. You will be relying with large institutional demand generators, but as is always the case with large institutional demand generators, you won't likely be dealing directly with them: your business will rely on secondary users, and entities having no relationship whatsoever with the airport, UPS or Amazon. You will need to identify and connect with those secondary users and unrelated entities. As always, you start with what you have as regular users of the hotel now, and scale it up, seeking out similarly situated users. The Kentucky Derby is a big annual event -- and where there's a big annual horse race, there's a track, and other horse racing events. See what you can do with Churchill Downs, and University of Louisville basketball (both 15 miles away). Anchor Point Technology Resources, Arvato Digital, BAE Systems, Cargill, Ceridian, CGB Enterprises, Emerson-Asco, Fisher-Phillips, Genco, Healthcare Services Group, Honeywell, MasterBrand, Multi Packaging Solutions, Nestle, Northrop Grumann, Otto Environmental Systems, Parker Hannafin, PepsiCo, PPG, Pratt & Whitney, R&L Carriers, Sanofi Pasteur, Scotts Miracle-Gro, SealedAir, Signature HealthCare, Simonds International, Smithfield Foods, The Chemours Company, UPS, World Fuel Services and Yum! Brands all have a significant presence here. IF WE EXECUTE A HOTEL MANAGEMENT AGREEMENT WITH AN EVENTUAL BUYER, THAT AGREEMENT WILL PROVIDE THAT WE HAVE ACCESS TO ALL BUSINESS RECORDS OF THE PROPERTY PRIOR TO CLOSING. IF THESE INDICATE THAT THE FRANCHISE NOW IN PLACE IS WORKING AND IS BENEFITING THE PROPERTY, WE GENERALLY ADVISE KEEPING IT, SUBJECT TO FIVE-YEAR TERMINATION OPTIONS. 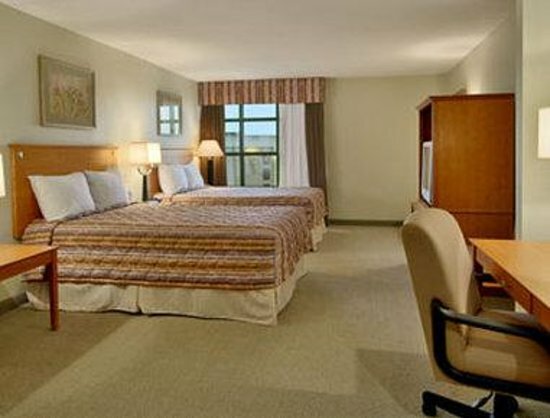 As an alternative, we recommend conversion of this property to a Red Lion Inn and Suites. As a Class A mid-market brand, Red Lion is gaining in competitive strength, while Wingate is stagnant if not declining. Red Lion also appeals to a younger demographic, and I suspect there's an opportunity here in Louisville to do very well by offering an option that would appeal to younger tech workers who fly into town to support the logistics operations. What does a Red Lion look like? I'd have to see some very strong reservation contribution from Wyndham in this location ---calculated by my math (OTA- and GDS-sourced reservations don't count: you don't need to be paying eight to twelve percent of your revenue for a Wingate franchise in order to get those: good TripAdvisor reviews and a $1,000 Check-Inn property management system can access them for you) -- in order to not advise a switch. Make an offer in the low-to-mid $5,000,000 range. I see nothing about this property that justifies a price at 4.0xGRR. It's nice, it's new, it's in a good area, so I'd give it a value of maybe 3.25 to 3.5 times gross room revenue. But it has a comparatively weak franchise, and it's tucked away in the back of a cluster of hotels so that, coming off I-64, you have to drive past too many other hotels to get to it, which probably does not help it to compete. High barriers to entry become pretty meaningless when you're in an area that's already saturated with newer hotels, so if they exist at all, they're not likely helping this property. 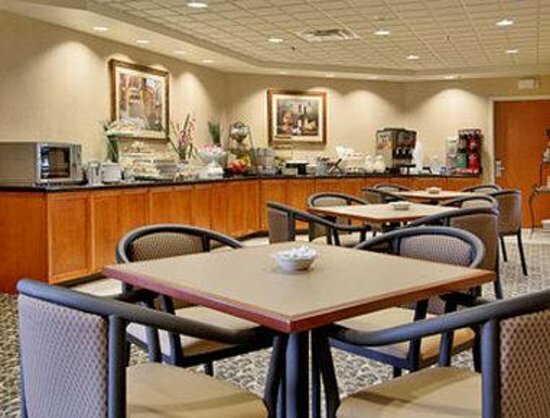 Food and beverage should be limited to the required continental breakfast, and a catering kitchen capable of supporting the events. Who should buy this hotel? Someone who had some skill and experience doing corporate and group marketing, but not a large, policy-bound corporate owner. You'll want a sharp, aggressive, think-outside-the-box salesperson. The only thing trying to manage it by committee is going to do for this property is add to the overhead, and have the various members of your "management team" getting in each other's way. If you currently own or operate a hotel in the Washington-Baltimore area, southern Maryland (LaPlata, Leonardtown, Lexington Park), Winston-Salem, N. C.; Allentown-Bethlehem, Pa.; Worcester, Mass. ; Wytheville, Va.; or Parkersburg, W. Va., you should consider a Louisville property, especially if one of more of your current properties is getting corporate or group business from one of the companies listed in the Marketing Recommendations above. Who should not buy this hotel? Without the marketing skill and the ability to reach out to corporate customers (particularly in the millennial age group), this property is going to continue to turn in a lackluster performance; and if you buy it it too close to the asking price you're not going to get much of a return. Beechmont Hotels Corporation is a hotel management company based in Winston-Salem, N. C. We frequently have occasion to perform asset identification services for potential clients who are seeking to acquire hotels, and inform them as to how a particular hotel listed for sale can best serve their investment needs -- or not. After a time, we will republish the information here as a short feasibility study (unless an agreement with the potential client for whom we originally examined the property prohibits it). Our evaluation is based on our own subjective opinion, using data collected from freely available sources online, unless otherwise noted in the Disclosures above. Our advice as shown here is as we would advise a client. You are free to accept or reject it, and should check behind us and make your own evaluation. Ultimately, you are responsible for your own decisions, including whether to rely upon our opinion or to confirm our assessment for yourself, and we assume nor accept any liability. When we choose -- ourselves -- a hotel offering to evaluate here, we choose only hotels that we have something nice to say about, a positive recommendation to make; hotels that we wouldn't mind signing to manage ourselves for twenty years. When someone submits one to us, we're totally candid and spare no one's interests or feelings. If it's a bum deal, we'll simply tell you, don't touch it with a ten foot pole, and we don't care who gets mad. If you are contemplating purchase of a hotel and would like for us to complete an evaluation similar to this for you for the hotel that you are considering, send a PayPal for $100 at makeitrain18018@gmail.com . Click here for a listing of other hotels for sale and available that we've reviewed.